Hi everyone! This is GiGi from The Cricut Bug and I am sharing this Egg Pocket Treat Holder I made using the Monthly Spotlight Stamp set, Holiday Dress Up. 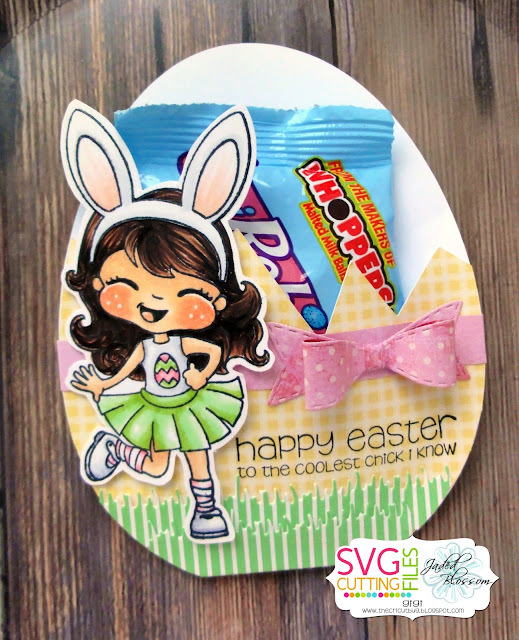 I started this project with the SVG Cutting Files Chick In Egg Peek Out Slider Card and only cut the egg pocket. 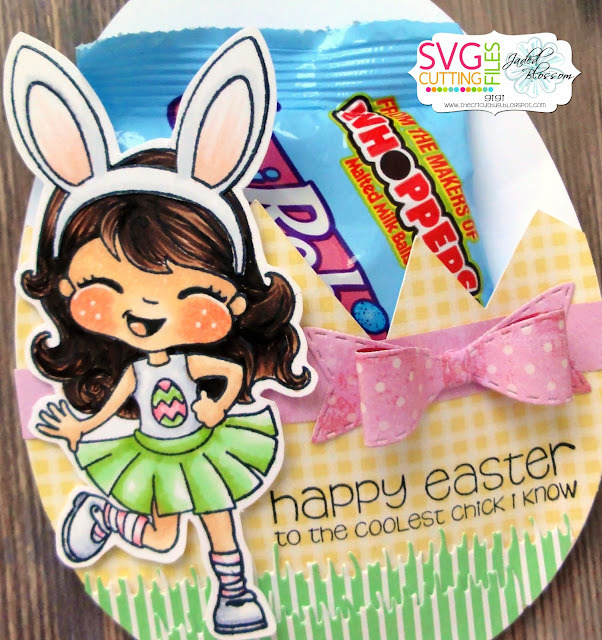 I added a row of grass cut from the Spring Dies and stamped the sentiment using the Easter Treats 2 stamp set. I stamped and colored the girl from the Holiday Dress Up stamp set and added her on pop dots. To finish, I added a bow around the pocket cut with the Bow Dies and added a bag of candy to the inside. Don't forget that you can get the Holiday Dress Up stamp set at a great price this month! This is just too cute!!! I love it!!!! OMG! I love this! ADORABLE!